There is a lot of local cycling in Slovakia and Czech Republic. In the towns and villages there are people of all ages, including children, adolescents, adults and aged people all getting around on bikes. 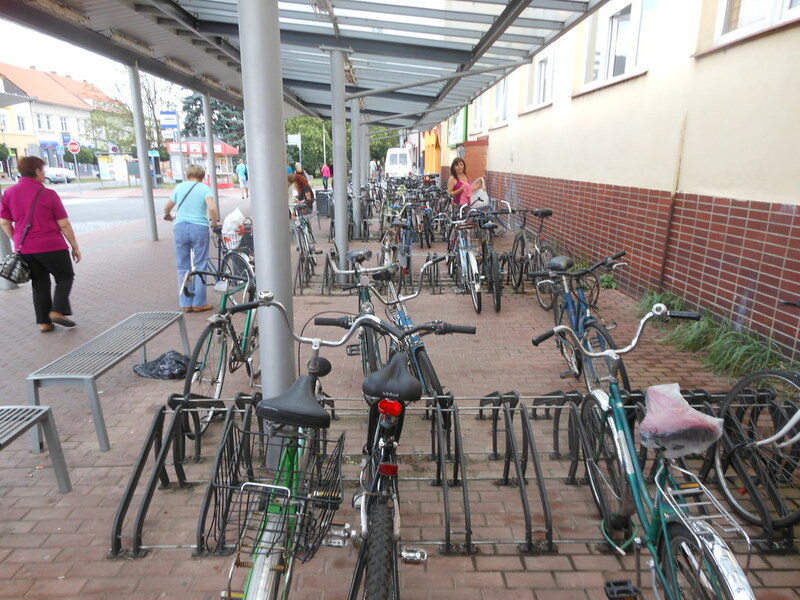 There are bike racks at shops, supermarkets, restaurants, bars, churches (yesterday we saw a church with parking for at least 100 bikes). Bike racks are placed every 20m or so along main streets, not very good ones by Australian standards, but good enough. People here jump on a bike to go somewhere in the same way that we would jump into a car. And the places they want to get to are an easy cycling distance. The bikes are old clunkers, folders with single hinge in frame, some with high riser handle bars, generally nothing special, but fulfil their purpose. There is quite a lot of medium-rise housing in the kind of buildings that would be vociferously opposed in most Australian cities. 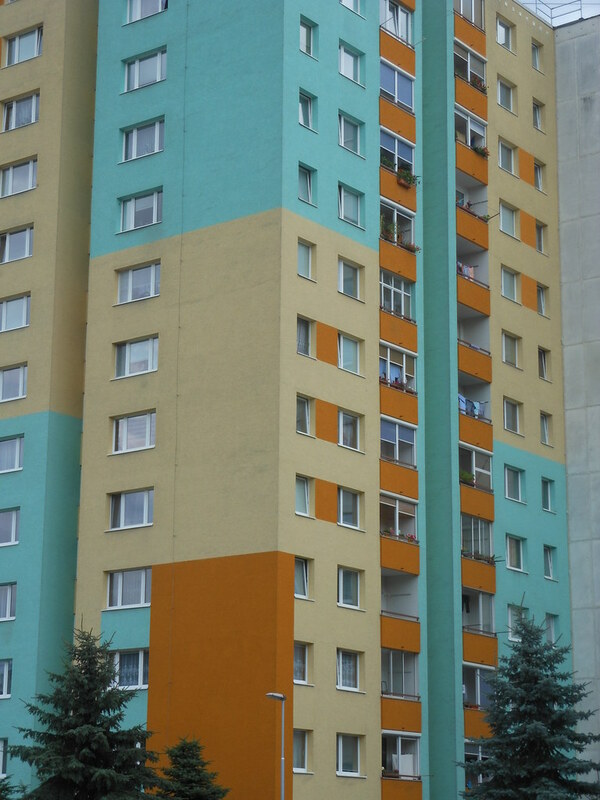 The housing blocks are usually painted in a variety of colours and they look attractive and well maintained. It would be interesting to find out how people here feel about living in them. The amount of domestic fruit and vegetable growing is astonishing. 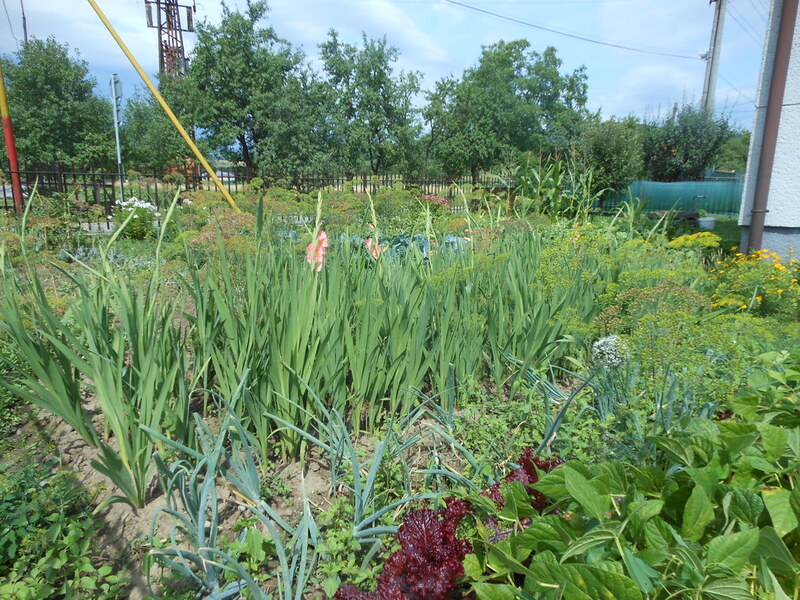 In villages almost every house has an extensive garden that is planted with a variety of vegetables and fruit trees, all looking neat and well tended as well as incredibly productive. It is common to see people working in their gardens. Towns and cities have a lot of public space and pedestrian areas that attract people and give a sense of life and activity. Obviously it is summer and the weather and long daylight hours encourage people to be out, but the physical form of the towns seems to play a big part. Smoking is permitted inside restaurants. Once we have plain cigarette packaging and have stamped out smoking in Australia, people will be able to come to Czech, Slovakia and Poland for smoking tours. To be fair though we do often see people smoking outside – eg a shop proprietor will smoke on the door step and just blow smoke on the customers as they come in. 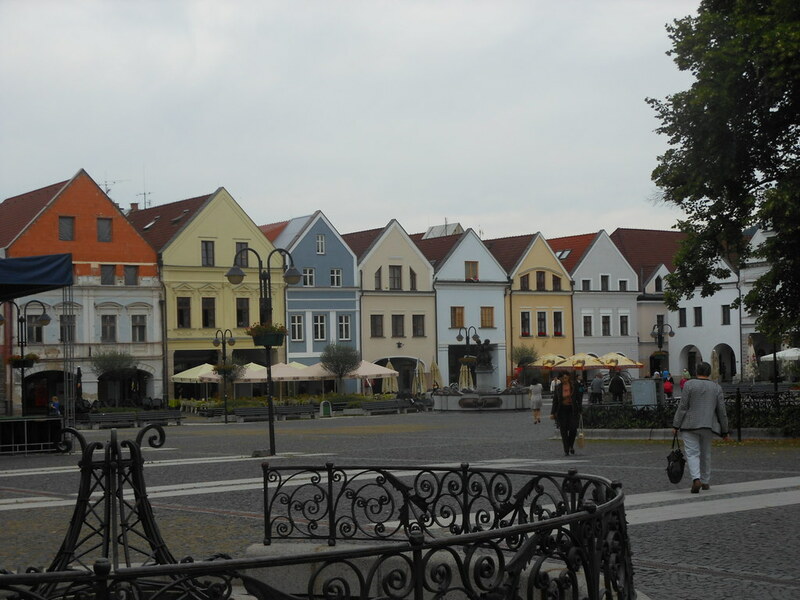 This entry was posted on 20 July 2012 at 7:57 pm and is filed under Czech Republic, Slovakia. You can follow any responses to this entry through the RSS 2.0 feed. You can leave a response, or trackback from your own site.